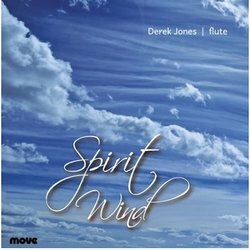 Derek Jones has enjoyed an extensive performing career throughout Australia, Europe USA, and Asia. His performing career includes solo performances with the Melbourne Symphony, The Australian Philharmonic Orchestra, Orchestra Victoria and the Sydney Symphony Orchestra, the latter involving solo appearances in Carnegie Hall, New York. Derek has toured Europe and Asia with recital performances in Manchester, Dublin, Hong Kong, Taiwan, and Italy. He has also performed as soloist for ABC Radio in live broadcasts and has recorded recitals for ABC Classic FM. Derek has released his CD Sun Down Moon Up, in 2008, a collection of his own compositions and improvisations. His career includes principal flute positions with the Sydney Symphony Orchestra, Tasmanian Symphony Orchestra, the Australian Philharmonic Orchestra; Orchestra Victoria. Derek has been invited to audition for principal flute positions in Europe. He has made guest teaching appearances at the Paris Conservatoire, the Geneva Conservatoire, Trento Conservatoire, The Royal Northern College of Music, Manchester The Royal Irish Academy of Music, Dublin, Boston University, The Hong Kong Academy of Performing Arts, and the Taiwan Flute School. Derek is currently Head of Woodwind at the Melbourne Conservatorium of Music, University of Melbourne, Australia.